Tim Pease and Neve Wheelecor reflect on how instruments have shaped their lives. Students are all shaped by music in different ways; for these students, their passion is found in mastery. Multi-instrumentalist Tim Pease, 11, has been involved with music since elementary school. From learning the piano at age six to taking on the pan flute at age seven, Pease is constantly exploring new musical challenges. In addition to the piano and pan flute, he is also well-versed in the guitar and recorder. Though a passion for music runs in his blood, Pease’s own motivation has led him to learn instruments all by himself. “I have never taken lessons… I am self-taught,” he said. At times, this has posed a challenge. “Since I can’t read music, I have to play by ear,” said Pease. Despite the lack of a mentor, fellow musicians have motivated Pease to keep pursuing his passion. Pease is part of a group called “Grace and the Crop Tops” comprised of Grace Lindmark, Michael Brown and Hans Adamsson. They’ve become well-known around Mounds View for serenading students and staff at the winter pep fest, this year’s talent show and mornings in the library. While most students struggle to learn one instrument, Neve Wheelecor, 10, has found time to pursue 13. Wheelecor’s family fostered her interest in music early on. 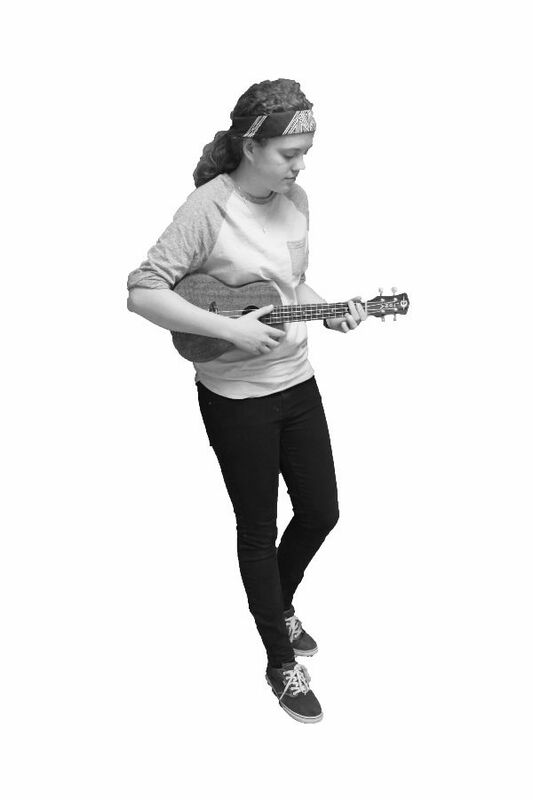 With her dad’s guidance, she began learning the guitar at the age of six. “My dad taught me at first. He played guitar growing up and still does today, so he was the one who got me going. I’ve taken a few professional lessons, but now I mainly play by ear or watch videos,” she said. “[My dad] would also be playing different instruments around the house that wasn’t on the radio.” she added. While Wheelecor enjoys a variety of artists, her favorites include alternative artists Mumford and Sons and the Lumineers, as well as classics such as the Beatles and Jimi Hendrix. She uses music as medicine for everyday stress. “Music is very important to me because it is an outlet from school and stressful situations. It’s my way to escape and go off into my own little world,” she said. “I struggle with anxiety and music helps me to relax and take my mind off things.